I purchase the new iPhone X recently. Before giving away my old iPhone, I have already transferred photos from olde iPhone to my Mac. I want to put those photos into my iPhone X. How can I do it? 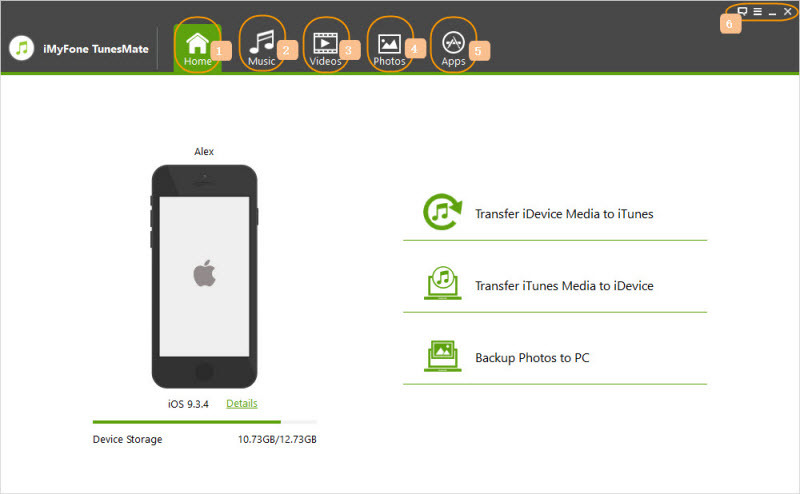 When updating to new iPhone, lots of users don’t want to lose the beautiful memories record taken by the old device. They may want to transfer them from old device to the new iPhone. So, here we introduce more than 2 ways for transferring photos from Mac to new iPhone X/8 (Plus). In this first method we are going to show you how to transfer photos from Mac to iPhone using iTunes and while we don’t recommend using iTunes, it’s a viable option. Step 1. Connect your iPhone X/8/8 Plus using a lightning cable and launch iTunes. Step 2. After iTunes has loaded, click on the device icon at the upper left corner on iTunes. Step 3. Then click on “Photos” from the left menu. Step 4. Check the “Sync Photos” box at the top and choose “Choose folder” behind Copy photos from. Step 5. Lastly, click on “Apply” and your albums will be transferred. Before you do this, you need to put all your photos in the same album on Mac. Risk of photos being corrupted while transferring. iTunes can be very buggy to use. Unable to selectively transfer photos. Synced photos cannot be deleted from iPhone until you unsync them from iTunes. Next, if you don’t want to use iTunes, you can also use the iOS Airdrop feature. Step 1. 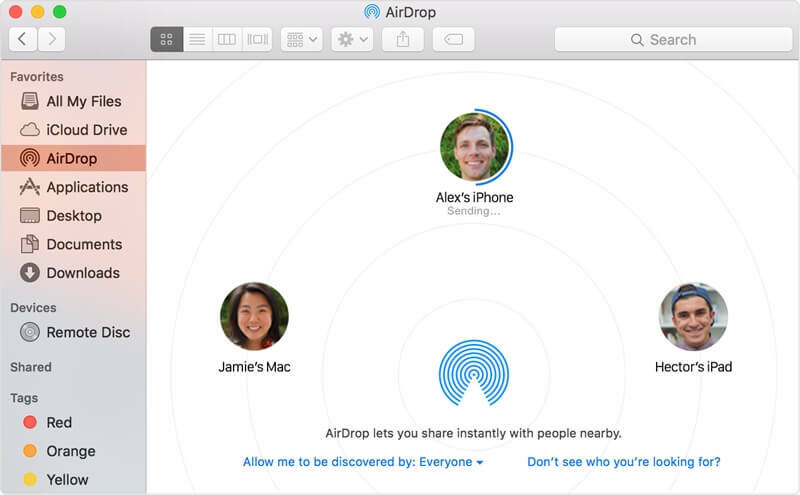 On your Mac, launch the Airdrop app from Finder. You will be prompted to enable Wi-Fi or Bluetooth. Step 2. Then you will see all the nearby contacts on which you can transfer photos from Mac to iPhone. Step 3. To transfer photos to iPhone X/8/8 Plus, you just need to drag the photos and drop them to the respective contact that you wish ti transfer. Step 5. Click “Accept” to receive the photos. Your iPhone and Mac must be connected to the same Wi-Fi network. This is only available on Mac computers. If it’s not really necessary for you, it’s not suggested to transfer photos to iPhone no matter using iTunes, AirDrop or any other third-party apps, because according to unknown reasons, there is a risk that the added photos cannot be deleted from iPhone unless you reset your iPhone. 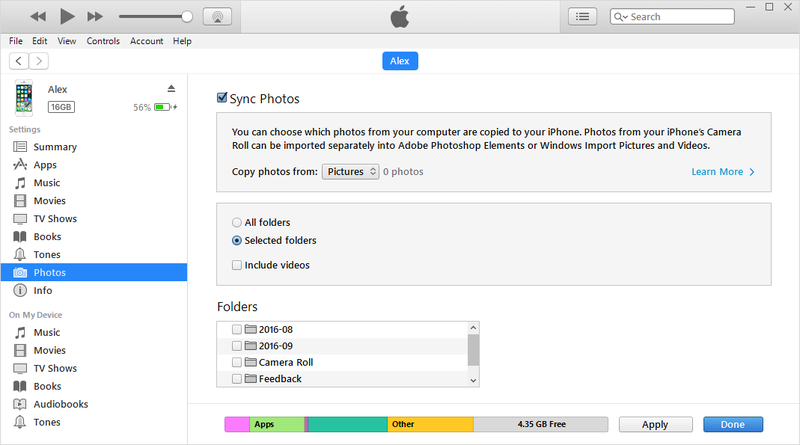 The iTunes that you used to sync photos get broken, that you cannot unsync the photos. It may be caused by some bugs of Apple’s iOS system. If you use third-party app, it may be incompatibility between the app and iOS that causes it. Lastly, if you’re looking for the best program to manage your iPhone’s photos and transfer them between your computer and iPhone, we recommend that you use iMyFone TunesMate. This is the best program out there which can be used for iOS data management and it offers far more than iTunes. Files Supported: All media files are supported to transfer, like music, movies, playlists, podcasts, audiobooks, iTunes U, music video, photos, albums, etc. Two-Way Transfer: Freely transfer media files between iPhone and computer (or iTunes library), selectively or all at once. Share Purchases to Different Apple IDs: Share your purchased or non-purchased media files from iPhone or iTunes library to unlimited iDevices, even in different Apple IDs. Step 1. Download and install iMyFone TunesMate on your computer, and launch it to begin. Connect your iPhone X/8/7/6/5/4 (Plus) to computer. Step 2. From the main menu of iMyFone TunesMate, choose from the tabs, like photos. There you can view, transfer or delete iPhone photos. Photos Tab: View photos and videos in Camera Roll and Photo Stream; transfer photos or albums, and delete unwanted photos. Music Tab: View, add, delete, export, rename, etc. iPhone music, playlists, podcast, iTunes U, and audiobooks. Videos Tab: View, add, delete, export, rename iPhone movies, Music videos, home videos, TV shows, iTunes U and podcasts. Apps Tab: View and uninstall apps in batch. Transfer iTunes Media to iDevice: Show you the entire iTunes library and you can check the media types to transfer to iPhone. It will avoid duplicates. Transfer iDevice Media to iTunes: 1-click to transfer iPhone media files to iTunes library, including purchases and non-purchases. It will avoid duplicates.